A number of Community Groups use the church premises on a regular basis and are very much part of the scene at Immanuel. Guides sadly no longer meet at Immanuel, as they have merged with another group. 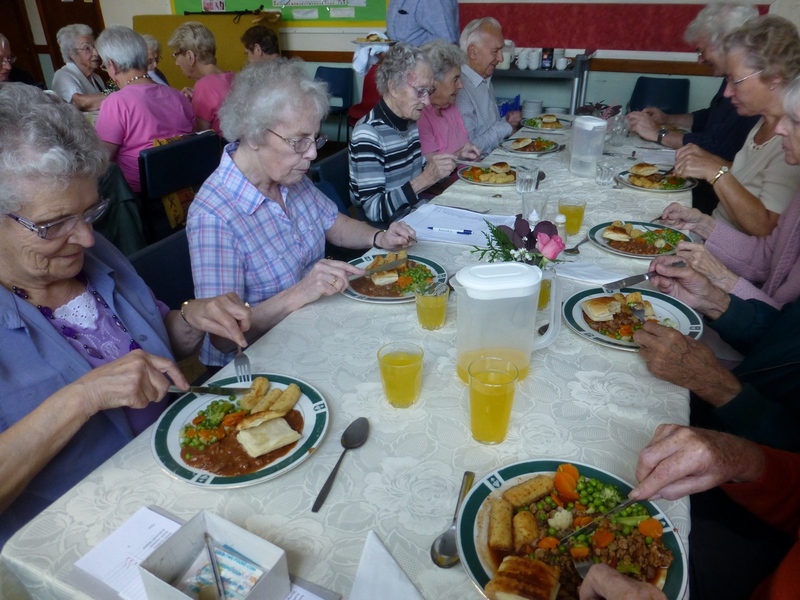 Walcot West Luncheon Club If you are over 55 this could be the club for you. It meets on Tuesdays with a prompt start at 12.30 pm when every week a tasty hot lunch and dessert is served. It is a lively and very happy club and members come from various parts of the town (not just Old Walcot). There is a weekly charge of £3.00. If you’d like further details, use the ‘Contact Us’ tab above. The Estelle School of Dance : the dance school under its principal Patricia Bennett uses the premises several times during every term-time week with classes in ballet, tap, and modern dance. Another regular group of users is the weekly weekly Parents of Twins group that meets in the Hall and garden room each Friday between 10.00 and 12.00 offering support to families bringing up children of multiple births. In addition groups from the University of the Third Age (U3A) make frequent use of the buildings for all manner of meetings.